Get back to school with the customizable and inexpensive budget backpack. Embroidered your brand’s logo on these affordable bags, to promote your business along every step of the way. Get back to school with the customizable and inexpensive budget backpack. Embroidered your brand’s logo on these affordable bags, to promote your business along every step of the way. The backpack is made from 210D polyester material and has front zippered pocket and a side mesh pocket. These provide abundant storage space for all your school and office supplies. The adjustable web shoulder strap and carrying handle make it easy to transport. 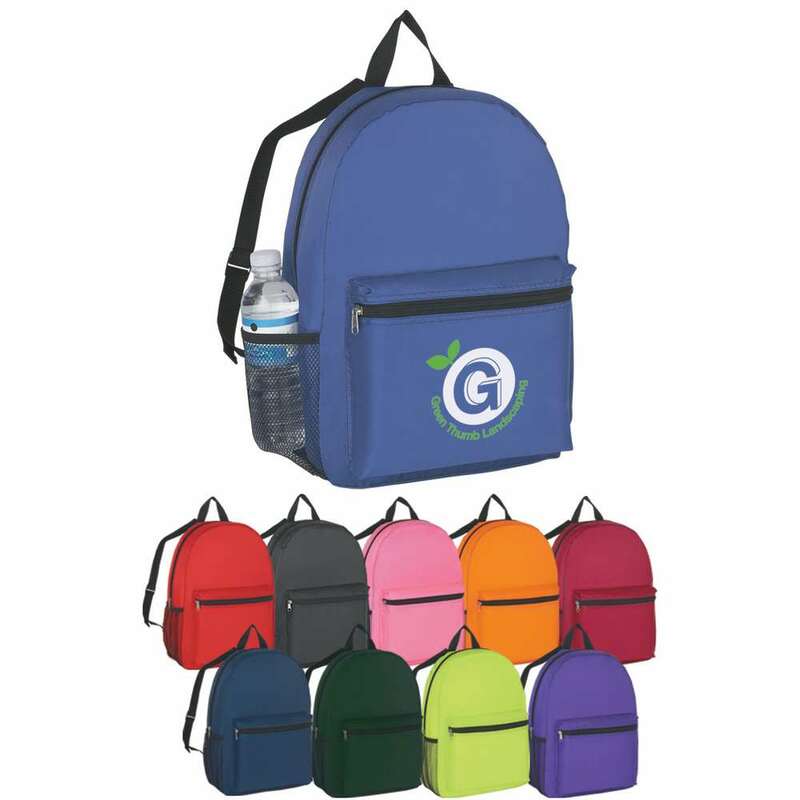 Utilize these backpacks as promotional items at schools and colleges to enhance your brand’s value and image.